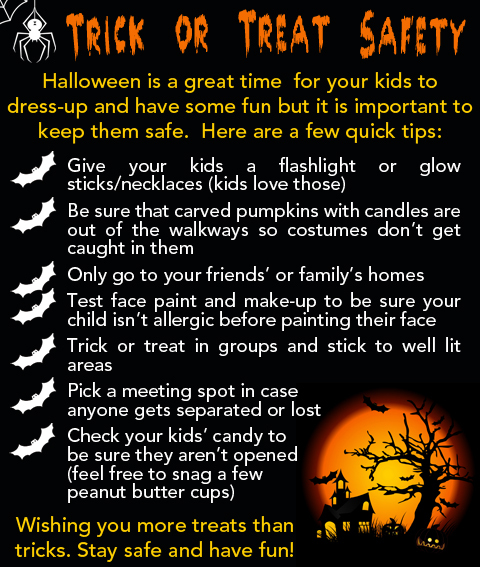 Halloween is a great time for your kids to dress-up and have some fun but it is important to keep them safe. Here are a few quick tips. Also see the bottom of this post for a list of Trick-or-Treat Times for some areas of Pennsylvania and Maryland. Previous Post What to do When Your Basement Floods?! ?